Congrats on a successful S.B. Party. Looks like you even had some healthy snacks. I ate some very unhealthy food yesterday, but I had run 26.2 so it's okay. I don't know much about the super bowl but through the blogs I've learned a few things. Much like our local rugby finals. People go crazy! Seems like you had a great party. I too splurged on food. But that's what parties are for, right? Yay rootbeer ... its funny how people get so caught up in sports. Sounds like a great part! 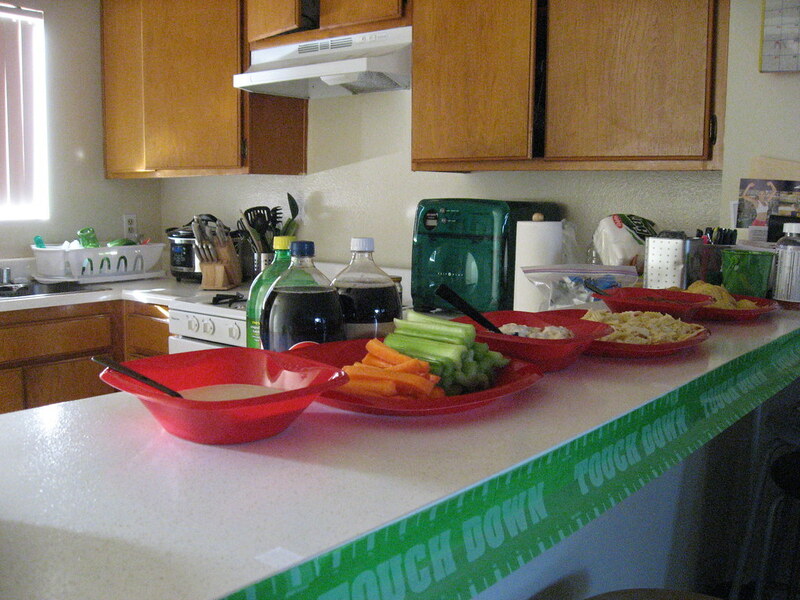 No small feat hosting a Super Bowl party. Sounds like a success, and the 'Green' team got the win! Your observations are correct ... the success of the party is correlated 1:1 with the amount of yelling at the screen! How Cute! A party at your house, Im sure you were the best little green girl host possible!